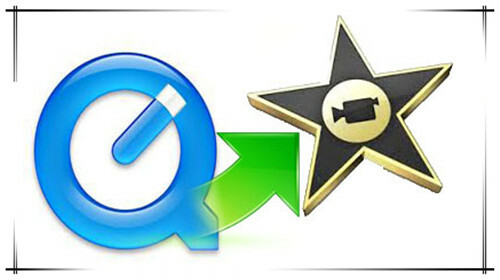 Home » How to Convert QuickTime File to iMovie? Having stored some QuickTime files and gonna edit them on iMovie? Generally speaking, iMovie can recognize most of QuickTime files already—so if you failed to import your QuickTime videos into iMovie for further editing, you may have some videos in older file formats. To be frank, no matter what caused this, the easiest way to solve this is adjusting your QuickTime files to iMovie files. 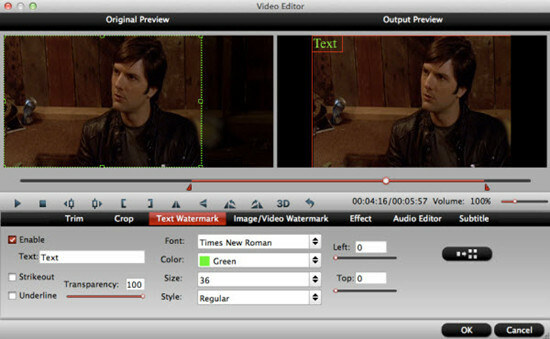 Natively, iMovie handles most commonly-used video codecs, including DV, MPEG-2, MPEG-4, H.264, and AIC. If your video file contains an incompatible video codec, you will either not load into iMove via "File" >" Import" > "Movie", or will encounter playback issues after import. 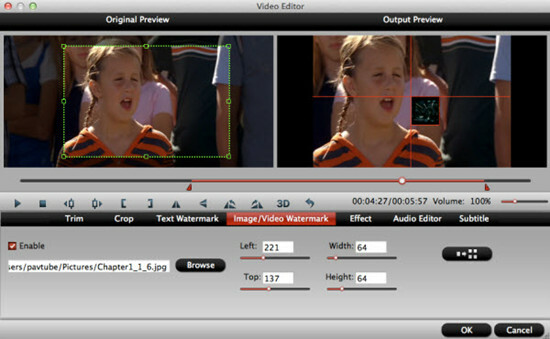 In this case, you may need to convert the video file to a QuickTime movie that is very iMovie friendly. In order to identify a video's codec, open the video file in QuickTime Player and choose "Show Movie Inspector" from the "Window" menu. You can use Pavtube HD Video Converter for Mac to convert many types of video files. This conversion application is not manufactured by Apple, but it features optimized format profile for iMovie, and is good at converting your files to a format optimized for iPhone, iPod, Apple TV, or a variety of other devices. It supports batch conversion and makes full use of your CPU cores, so it takes much less conversion time than other similar programs for Mac. You can add videos into this HD Video Converter for Mac through pressing either "Add Video" or "Add from Folder" button. Also, you can drag and drop your source files into Getting Started area directly from the folder that contains your media. 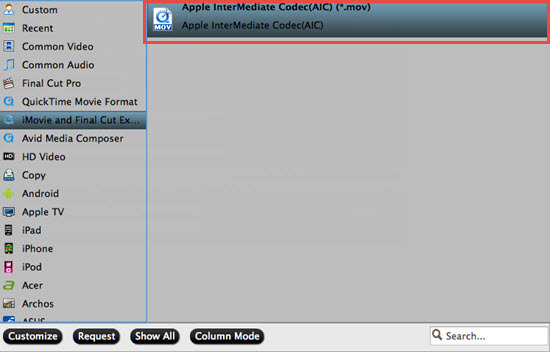 When video files are imported, click on "Format" bar to choose "Apple InterMediate Codec (AIC) (*.mov)" as target format under "iMovie and Final Cut Express" column. This format insures you will get files well supported by iMovie. A popup dialogue box will appear as soon as the conversion completed. You can click "Open output folder" to retrieve the converted QuickTime files for using in iMovie. Actually, Pavtube HD Video Converter for Mac is not only a Mac converter app, but also a video editor app. 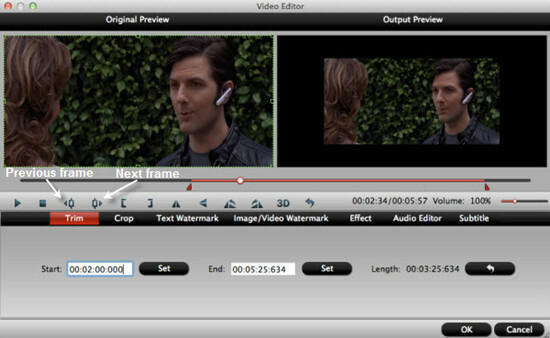 It is equipped with some basic editing features to fulfill your simple editing needs, such as trimming, cropping, watermarking, audio editing, adding effects, and embedding subtitles. 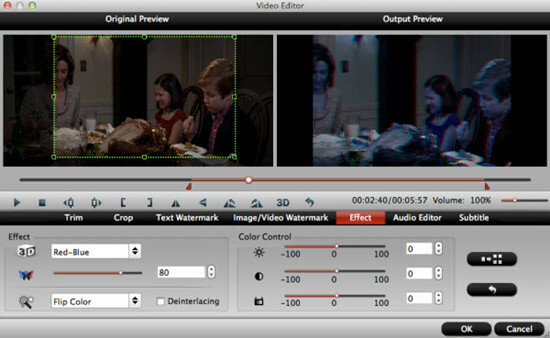 Trim: The "Trim" feature allows users to decide where to start and where to end when converting the selected clip, so that unwanted segments will be cut out after conversion. 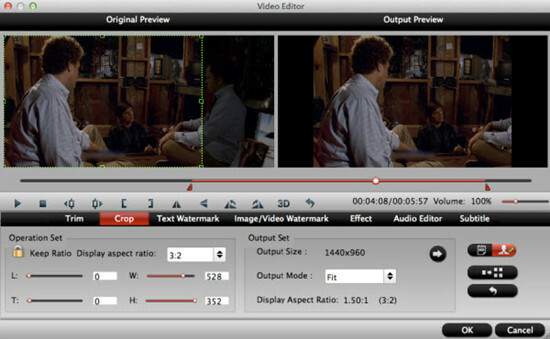 The "Previous Frame" and "Next Frame" options enable users to trim accurately. Crop: The "Crop" feature enables users to eliminate the black edges and unwanted area of the image. Effect: Under Effect tab, you can add 3D effect and other special effects like Simple Gauss Blur, Flip Color, Invert, and Aged Film to your source video. In Color Control section, you can correct color by adjusting brightness, contrast, and saturation. You can also tick off "Deinterlacing" to keep good image quality. If you have something emergency and have to leave from your Mac, you can set the Mac converter to shut down your Mac automatically after the QuickTime video to iMovie Mac conversion.